My husband has a new best friend. It is called the Big Green Egg (BGE for short). He is obsessed – every night we talk about what he is going to make next. I love it. I swear, everything tastes better on the egg, I don’t know how we survived before with just a gas grill. This is not a grill, this is a BBQ enabler. And let me tell you, it is insane. The best BBQ I have ever had, no joking. So far this summer, he has been experimenting with all types of meat. We have had steak, chicken, pork – all rediculously juicy and tender – and so moist – oh, and the flavor, bursting with flavor – every single time. But, the brisket really knocked our socks off. This was his first one, and the first one I didn’t prepare in the oven. He started the process in the morning, then cooked it “slow and low” all day long. The smell in our back yard was incredible – but it was nothing compared to how it tasted – tender and smokey, with the perfect amount of punch. It was even better the next day. 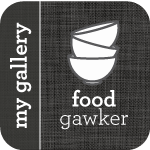 He was so excited with how it turned out, he wanted to make sure I posted this – so this is his first recipe…welcome to the world of food blogging! Apply a generous coat of the dry rub to the meat 1 to 8 hours prior to cooking (store in fridge). Soak hickory chips in water for 1 hr prior to adding to coals. Fill fire box of BGE with lump charcoal. Light charcoal and add soaked hickory chips once flame has died down and center coals are glowing. Add place setter (or cooking stone) on top of fire ring for indirect cooking. Place grill on top of place setter. Adjust cooking temperature to 225. While setting up the fire, take brisket out of fridge and let warm to close to room temperature. Barbeque brisket “slow and low” at a temperature in the 210 – 230 degrees F range until the internal temperature of the meat reaches 202 degrees F (approximately 8 hours). Take brisket off the grill and triple wrap in tin foil with ½ cup of beef broth. 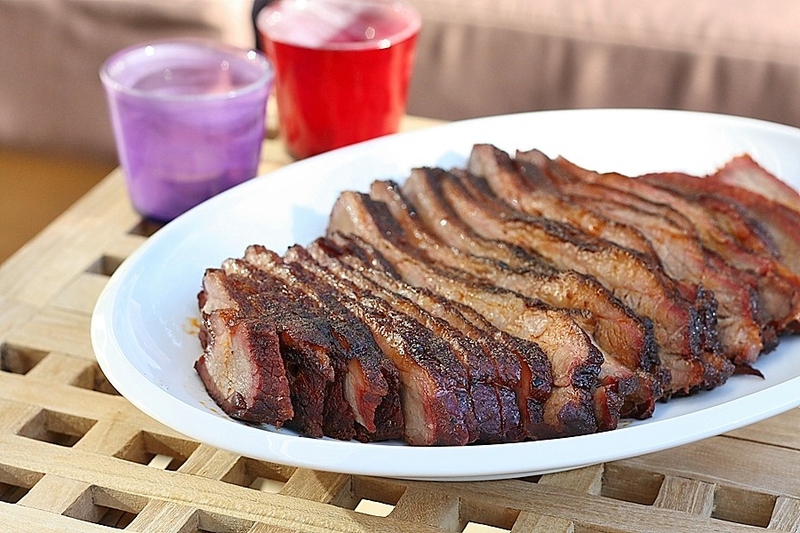 Allow brisket to rest in a room temperature cooler for 1 ½ hours. Slice cross wise to the grain of the brisket. Enjoy!!! That beef brisket looks absolutely mouthwatering! I almost bought the BGE last weekend, but wasn’t sure if it was just a gimmick from the sales person we spoke to. I’m certainly convinced after your blog post! a great (and less expensive) alternative to the bge is weber’s smokey mountain cooker. also a vertical smoker for low & slow true bbq. very highly rated.